With its mesmerising mix of spectacular scenery, abundant wildlife and aboriginal and european history, Flinders Island is the gem in the crown of Island walking in Tasmania. Over this diverse and rewarding itinerary you will experience 6 days walking the rugged peaks and sweeping coast lines of this windswept Island, taking the time to swim in the crystal clear waters and photograph the endless picture perfect vistas. You have the opportunity to summit the dramatic granite peaks of both Mt Killiecrankie and Mt Strzelecki , the second of which is the highest point on the island at 756m giving you spectacular 360 degree views of Flinders Island in its entirety. 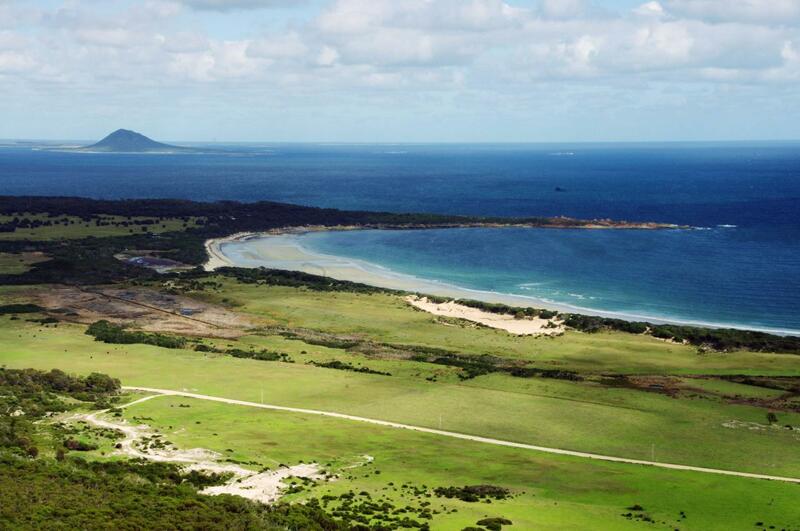 Although a small island of only 1,333 square kilometres, Flinders Island hosts an amazing array of ecosystems from dunes and lagoons to woodland and mountainous granite ridges which produce spectacular and unique species of flaura and a profusion of fauna which freely roams the island, it is also the only remaining habitat of the common wombat which you may be lucky enough to spot on your adventure. With scenic flights included from Launceston you are only a hop, skip and a jump away from your next unforgetable walking adventure!